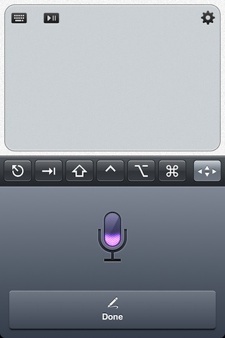 Apple will most likely wait until the release of the next major version of Mac OS X to bring Siri to the Mac, but you can use its dictation capabilities with your Mac or PC right away using Edovia’s TouchPad app for iOS devices. TouchPad is a $4.99 app for your iPad and iPhone that turns any iOS device into a bunch of remote input devices for your computer. It gives you a virtual keyboard to type on your Mac, a trackpad to control the cursor and a remote to control media playback. In version 4.0 of the app, TouchPad has made the modifier keys always remain visible, so that it is easier to use keyboard shortcuts. It has also added support for more media players and several new shortcuts. Other changes include improved support for international keyboards, better help documentation and a more refined screen zooming gesture. 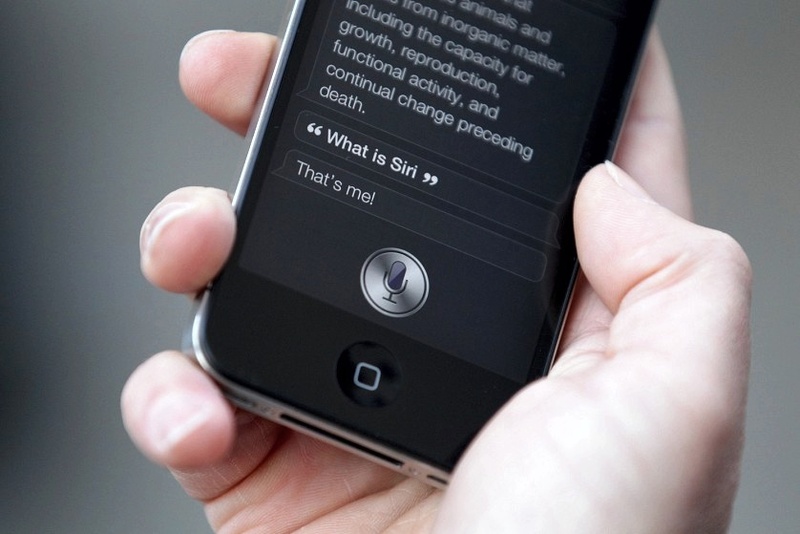 And you can now type on your Mac or PC by dictating to Siri! Everywhere you see the standard keyboard in TouchPad, it’ll now include the Siri icon, which you can tap on to bring up the dictation UI. If it works well for you on your iPhone, it will do just as well on your computer; if it doesn’t, it won’t. While this is no replacement for a full-fledged and far more accurate dictation app, like Nuance’s Dragon Dictate for the Mac and Dragon NaturallySpeaking for Windows, you will definitely be able to use it to bang out a short email or tweet without much hassle. Unfortunately, since all TouchPad is doing is taking Siri’s transcribed input and sending it over to your computer, you cannot use it to perform any of the other Siri features on your Mac or PC. But as far as inputing text goes, it is a pretty convenient and effortless way to dictate to your computer.